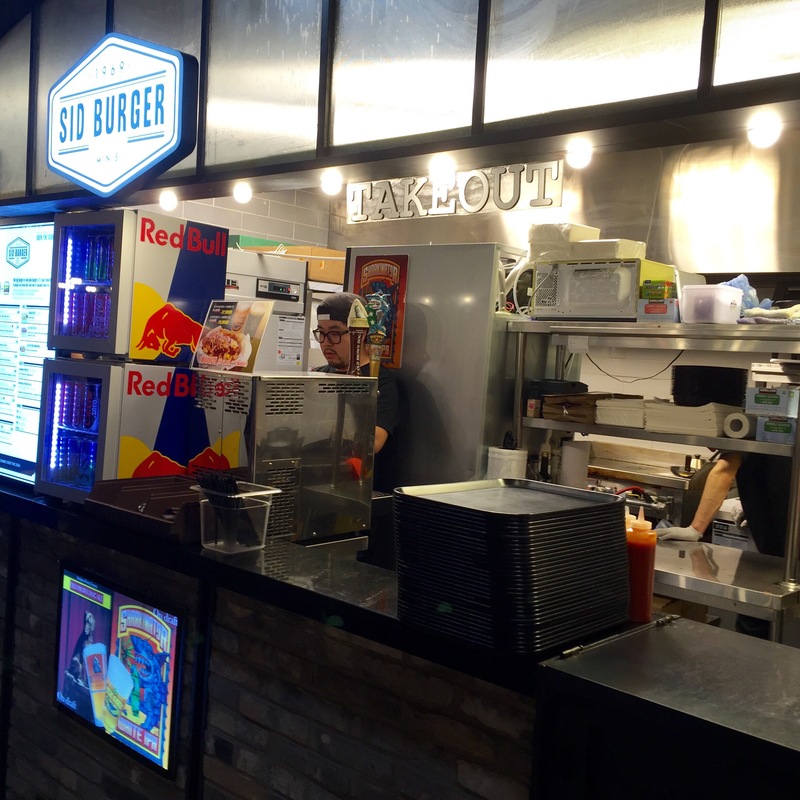 Sid Burger is located in the Over the Dish food court near City Hall (Only 2 stops from our house!). 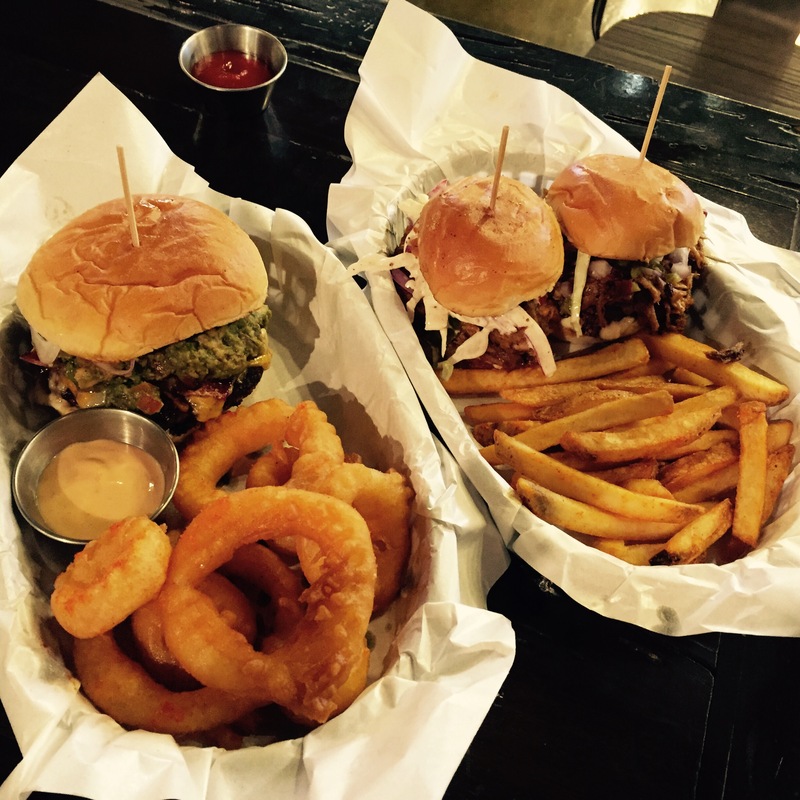 They offer a good selection of burger types and you can get a full size burger or 2 sliders that comes with a side of fries. Directions: Take exit 10 out of the City Hall subway stop. 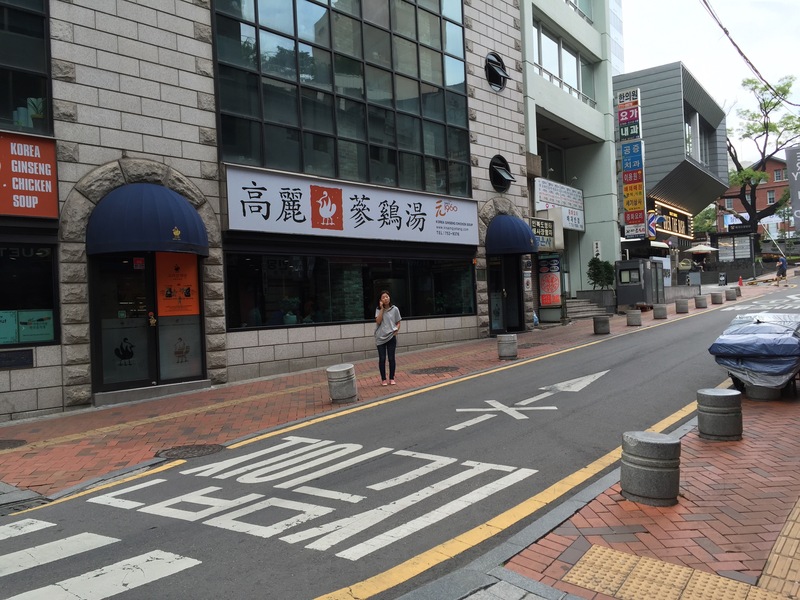 Walk for a minute until you are at an intersection with a one way street. 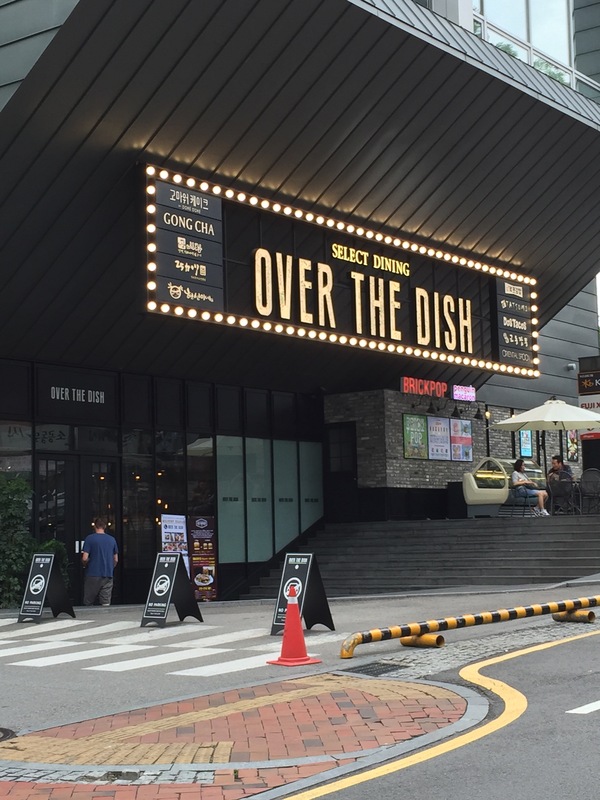 Look right down the street and you will see the bright lights of the Over the Dish food court. 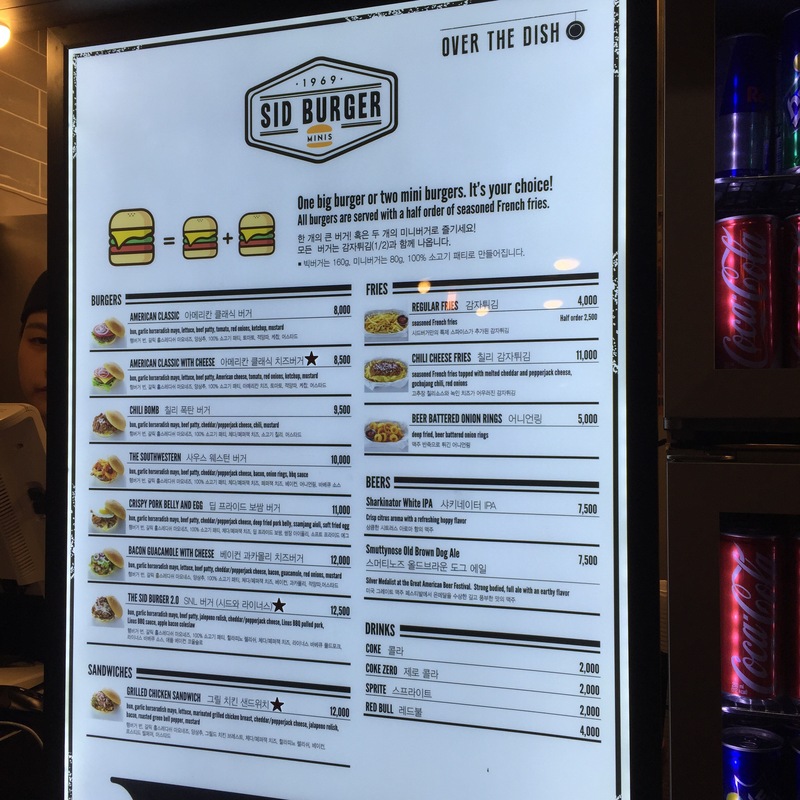 Sid Burger is located inside the Over the Dish food court. First off, the burger patties are delicious! The meat is well seasoned and cooked well. The Sid Burger was super juicy as it was topped with Linus’ pulled pork and BBQ sauce and cole slaw! What an awesome combo. The fries were pretty good too. The Bacon Guacamole and Cheese burger looked yummy, but I could see the guacamole was already getting dark in color. So I could taste a little bitterness on that. The burger itself was juicy and tasty, but I also didn’t taste much bacon. The onion rings were just ok, some were soggy and others were crisp. The aioli that came with the onion rings was great though!